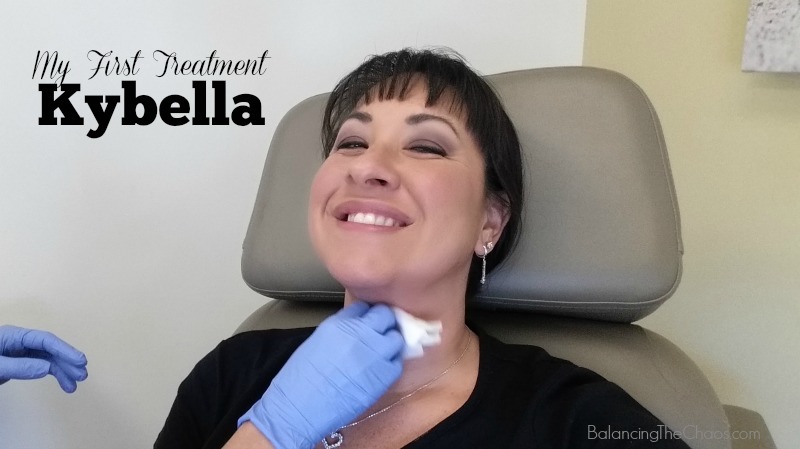 “My First Treatment – Kybella” – A sponsored post written by me (a CosmetiCare Mom) on behalf of CosmetiCare. I recently shared that I was exploring Kybella, a non-surgical injectable used for reducing moderate to severe fat on the upper neck, otherwise known as a “double chin”. As a matter of fact, you can see my previous feature about what to expect when going in for my first treatment here: Exploring Kybella. I’ve recently taken the first steps in reducing the submental fullness or excess fat under my chin, and this is my experience. I made my appointment at 10am at CosmetiCare since the kids were going to get out of school early as it was minimum day. I figured the treatment wouldn’t take me very long, and I would be out in plenty of time to grab a quick bite to eat and pick them up. The first step in my first treatment – the numbing. Kathy made sure I was comfortable as she administered a numbing gel to my chin area. She told me that it would take approximately 20 minutes for the full effects of the gel, then I’d be ready for my Kybella injections. Then it was time for injections. The grid (as shown above) is a clear plastic film that guides the person injecting the Kybella serum into the skin. Check out the video of my injections. For me, the first injection was fine – for a few seconds. After that, I noticed a burning sensation. With each prick the feeling was more intense as Kathy quickly went through the treatment. The total time was less than 5 minutes for the injections and she applied an ice pack immediately after the injections. I was uncomfortable for approximately 30 minutes after the treatment, maybe a little more. I took a couple of ibuprofen which helped minimize the pain. Recommended: Before an injection, depending upon your pain tolerance, you can take ibuprofen before or after the treatment. Kathy then gave me a package that included an ice pack head/chin wrap that included a few more ice packs to continue icing the area to help minimize the pain. I did keep the ice packs on my entire ride home and for about an hour after the treatment. The next day: Some of the sensations I felt the next day included a little bit of swelling, tenderness to the touch, and very light, pin pricks size of bruising. When I was home, applied a little bit of ice to help with the swelling, however the pain was completely gone. The second day after: Bruising began to appear in splotches. The area was still tender to the touch. I did notice the bulk of the swelling appeared on the 2nd day after. My chin area was quite swollen, giving me the effect of having a “3rd chin” as my husband describes it. (Gotta love him). As expected the bruising went on for approximately 4 days after treatments. Most people didn’t even notice it until I pointed it out. The swelling lasted for about 3-4 weeks after the treatment was complete. It gradually started to decrease as I got closer to the 6 week mark. At this point of the treatment, I’m noticing the swelling still decreasing. 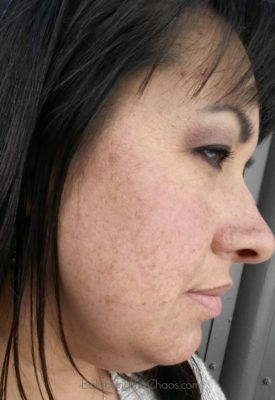 I’ve noticed little lumps or tight little balls when I press on the skin under my chin. I suspect the little lumps I’m feeling are the injection sites. Now I await my 6 week appointment to see final results and a comparison of the first treatment. 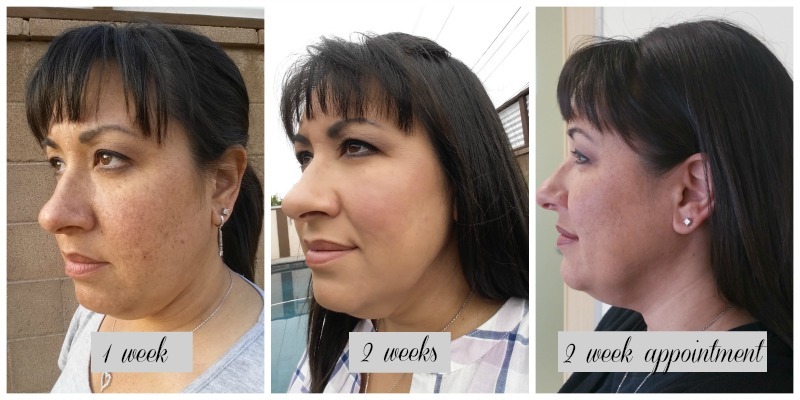 As stated in the last post regarding Kybella, most patients need 3 treatments, each scheduled 6 weeks apart for the full benefit of the treatment. However, not all experiences show the same results. Stay tuned for upcoming results and my next appointment. Looking to tackle a few cosmetic issues you may have? The team at CosmetiCare is quite amazing and can give you great ideas on how to look your best, keep your skin young and rejuvenated as well as skin care options and more.